KUALA LUMPUR: The taxmen of the Inland Revenue Board (IRB) and Royal Malaysian Customs Department have set their sights on the digital economy. Treasury secretary-general Tan Sri Dr Mohd Irwan Serigar Abdullah pointed out last week that some foreign-owned digital economy players like Google, Uber and Facebook are currently not paying taxes in Malaysia. “It is time to internationalise our tax laws so that we can tax these people who are earning revenue here but the revenue is [transmitted] overseas, whether to the Netherlands or US and so on. We are talking to the tax authorities like IRB and customs on this,” Mohd Irwan said in his keynote at the GST (goods and services tax) Conference 2017 organised by the Customs and Malaysian Institute of Accountants. Speaking to the media at the same event, Customs director-general Datuk Seri Subromaniam Tholasy said his department is looking into amending the Goods and Services Tax Act 2014 to facilitate collection of the tax from foreign companies offering digital services in Malaysia. He said the additional GST revenue from the digital economy could come up to “billions of ringgit”. Deloitte Malaysia tax partner Tan Hooi Beng said that when it comes to corporate income tax (CIT), Malaysian digital companies are not treated any different from the brick-and-mortar business. “For foreign companies they would only fall within the ambit of Malaysia’s CIT if they have a taxable presence or a permanent establishment here, for example having personnel in Malaysia who are performing the services here,” Tan told The Edge Financial Daily. 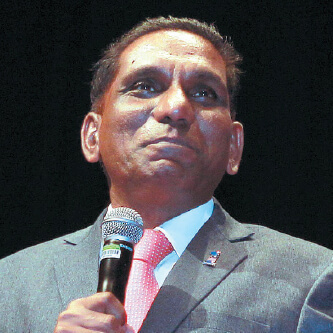 As for the GST, PricewaterhouseCoopers Taxation Services Malaysia executive director Raja Kumaran said Malaysian companies providing goods or services in the digital economy are subject to GST, if their supply of taxable goods or services exceeds RM500,000 in a 12-month period. However, he said that there is no requirement for a foreign company to register for GST in Malaysia at present, unless that company is selling goods in Malaysia in which case they are required to register via an agent. “The key determinant would be where the transfer of ownership of the goods take place. [If] it is in Malaysia and the value of the goods exceeds RM500,000 per year, then the foreign company is required to register [for GST] in Malaysia,” he said. Raja explained that goods imported into Malaysia are also subject to GST. “[If] the goods are imported into Malaysia via air courier services, and [if] the value of the goods does not exceed RM500, then the goods are given relief from GST. Therefore where consignments are kept below RM500, Malaysians can buy goods from overseas which are not subject to GST, and if the goods exceed RM500, this would be collected by the courier service before or upon delivery” he said. However, Raja pointed out that for the digital services economy, the Malaysian GST law does not currently tax foreign service providers unless they have a branch or establishment in Malaysia through which they provide the services. “As such, companies like Uber, Grab or Airbnb are not required by law to register for GST in Malaysia, [even if their services supplied exceed RM500,000 a year]. These companies are not the provider of the services consumed by the customers per se, they merely act as a marketplace for the drivers or landlords to sell their own services. “Depending on the terms and conditions, it is the driver or landlord who supplies the service who would be required to register for GST, but only where the supplies breach the annual threshold of RM500,000,” he said. Grant Thornton Malaysia executive director for international tax and global mobility services Daniel Woo said that step one of the Organisation for Economic Co-operation and Development’s (OECD) 15-step Base Erosion and Profit Shifting (BEPS) plan addresses the tax challenges of the digital economy. “This is to level the playing field between domestic and foreign suppliers, and facilitate the efficient collection of GST or VAT due on these transactions,” Woo said. Ernst and Young Tax Consultants Sdn Bhd Malaysia tax leader Amarjeet Singh said countries like South Korea and Japan are already implementing indirect tax methods to tax the digital economy. “[Based on recent reports in the media], Malaysia could be following suit,” he said. Grab Malaysia country head Sean Goh said the ride-sharing service, which is currently registered for GST in Malaysia, absorbs the GST on its GrabCar rides. “Our Grab rides are currently priced to balance the need for affordable rides [while] ensuring [that] our drivers are still able to earn a decent income. “As for drivers, Grab is constantly identifying like-minded partners to provide benefits to our drivers such as Petronas with their Kad Mesra Grab to help with the cost of petrol which is a major driving cost for our drivers,” he told The Edge Financial Daily. On which tax regime Grab falls in, given its presence in seven countries, Goh said drivers are registered according to their country of origin. “When a driver signs up with Grab, they will register with their own country's Grab office. For example in Malaysia, you need a valid Malaysian IC (identity card) and driver’s licence to drive for Grab. “This means, Malaysian drivers register with the Malaysian office,” he said. A spokesman from Uber said that the ride-sharing firm is open to engaging with the government on the best way forward for the taxation process. “We await the final details of such proposed regulatory updates. Uber is compliant regarding all current taxation requirements in Malaysia,” he said. An Airbnb spokesman said the online marketplace and hospitality service is committed to working with the Malaysian government to make it easier for its hosts and guests to pay their fair share of taxes. Airbnb, she said, has entered into tax partnerships with more than 350 jurisdictions worldwide and collected and remitted more than US$320 million in hotel and tourist taxes globally. “Airbnb is generating new tax revenue that governments around the world are dedicating to existing critical services, or funding new programmes that help address local challenges,” she added.